ZIMS for Husbandry is a comprehensive information application designed to manage information about animal accessions and dispositions, animals wanted and available, behavioral observations, feed logs, and much more. ZIMS for Inventory and Husbandry also generates information needed for CITES and other permitting and governmental uses. It is designed for use by curators, registrars, keepers and other animal care staff. The web-based inventory and husbandry module of our Zoological Information Management System (ZIMS) integrates seamlessly with ZIMS for Medical, pulling medical and husbandry information into the same comprehensive records system with a single point of access, yet it is also fully functional as a stand-alone application. With its 2017 release, ZIMS for Studbooks will also be integrated into ZIMS for Inventory and Husbandry and ZIMS for Medical. What is ZIMS for Husbandry? 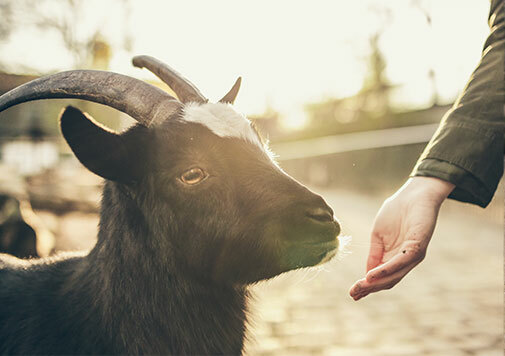 ZIMS for husbandry is the core of ZIMS – an integrated, real-time database that encompasses all the “ins and outs” of a member’s animal collection. Everything from accessions to permits to enclosures, feed logs, enrichment, inventory, reports, and more is included – in a customizable manner that allows members to decide who can see what data, who can enter what data, and more. What reporting is available in ZIMS for Husbandry? A collection of nearly two dozen reports is available; in addition, a robust search feature allows users to choose which fields appear in the results. Species360 reports have unusual levels of acceptance from regulatory bodies. US Fish & Wildlife Services (USFWS) accepts ZIMS reports in some cases in lieu of CITES import documents, and will accept Species360 Specimen reports as proof of captive breeding. What does training look like for ZIMS for Husbandry? On-line, self-paced training is available for all Species360 members at no additional cost. We also offer instructor-led trainings that can be customized to a member’s needs. And of course, ZIMS has a robust help system providing answers to questions right from the ZIMS interface. Species360 has been facilitating data sharing for many years – that has allowed us to support important work with aggregated medical data, endangered species breeding pedigrees, and more. By default, any Species360 member can see some information about any animal held, e.g. the animal’s existence, identifiers, taxonomy, birth date, weights, etc. Members also have the ability to share an animal’s entire record with another institution. In some sensitive cases, members might choose to record an animal in a local-only collection which prevents its existence from being visible to other members. Within a member’s own institution, ZIMS administrators can also choose who can see and/or enter what types of data on which animals! Details for the data available in the global view of an animal are available here. Do I need to worry about data backups? The ZIMS database is hosted at a secure facility. ZIMS data is backed-up at multiple locations and stored on a fault tolerant, expandable storage area network, featuring RAID 5 disk array with hot swappable spare drives. Data changes are backed up every six hours and a full database backup is performed weekly. The six-hour backups are stored within the same facility, and the weekly backups are moved to a different facility in a different state (over 400 miles apart). The monthly backups are kept indefinitely. Infrastructure security (Network, Server, Firewall): SAS70 Level II certified hosting facility, Cisco firewalls, 256 bit SSL encryption, regular security audits, 24×7 monitoring against attacks. Application security (User IDs, functional access): ZIMS gives members the ability to restrict access to the ZIMS Application to a specified IP address range and provides members with the ability to enforce single-session restrictions for staff accounts. Along with these enhanced options, ZIMS administrators are able to see when staff are logged in and are able to close any open connections. Programming Security: Microsoft standard authentication, encrypted passwords, role level security trimming, isolation of Database from UI and business logic, only authorized application servers can access database, audit stamp for each database record, database level change audit to track update.